We create web and mobile solutions that are smart, intuitive and easy to use. We provide our clients with solutions to become more visibile, to capture new business and to create lasting relationships. Catapult Web is a full service company committed to the successful launch of an idea, product or service. We like what we do and it shows. And like you, we're passionate about our work and we believe every piece matters. We bring our years of experience and expertise to every project big or small. So whether you're a start-up, a small non-profit or a national corporation, you'll have our complete attention —we promise. We make websites —but that's not all we do. At Catapult Web we offer a wide and diverse range of services to help you and your project succeed. We provide consulting, graphic design, technical support, web hosting and much more. Since 1998, we have designed and developed award-winning sites for local government. We understand the unique set of goals and challenges a municipal site presents. We're confident that we can develop a local government solution that will meet your needs exceed your expectations. In addition to our popular content mangagement system, we've developed municipal-specific tools for managing high-demand areas of the website such as meeting minutes and agendas, broadcast news alerts as well as an integrated calendar of events to allow more effective communication between goverment and resident. We deliver creative websites that are both visually pleasing and functional. By combining professional, attractive design with innovative standards-based technologies, we can help you reach a wider audience and build new relationships. Mobile computing is powerful and more people are using phones and tablets to experience the web. 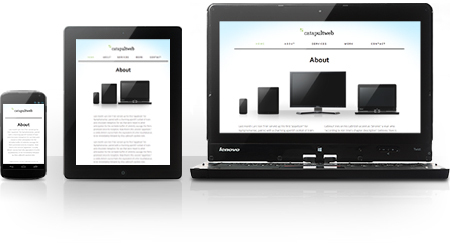 We build sites so that your visitors will have the best possible online experience regardless of device. From proposal to delivery, our collaborative process helps ensure a successful project delivered on-time and on-budget. When we complete a project we stand by it. Our exceptional support means fast response times and our complete attention, but it's not limited to just our products — we can help with just about anything web-related. Website hosting is where development ends and the project lives. We offer a range of services tailored to each project. Best of all, we only host who we develop —so you know your site will be in good company. Need an extra set of eyes on a project? Or maybe you're just looking for a company whose expertise is the web. Let our years of experience benefit you and your project. So why wait? Give us a call at 267-662-9000 or just send us an email to get started. 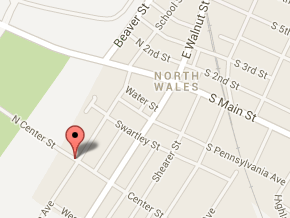 If you find yourself in scenic North Wales, PA —stop in for a quick chat or demonstration. ©2015 Catapult Web. All rights reserved. Well, it looks like something went horribly wrong. If you don't mind (if it's not too much trouble), send us an email so we can take a look.